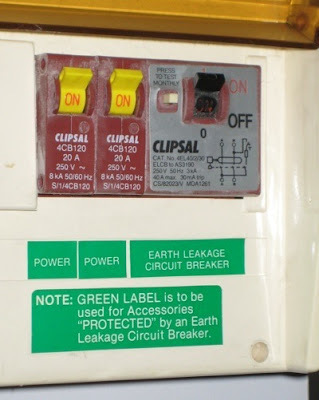 Don't be deceived, at the first sign of danger, the breaker is totally gone. It's a big wimp. Thanks, Greg. Must be the kind of "protection" you pay the guy with the slicked back hair so that he won't have his gang trash your shop. Pedro offers you his "protection". Ewwww, what is "earth leakage?